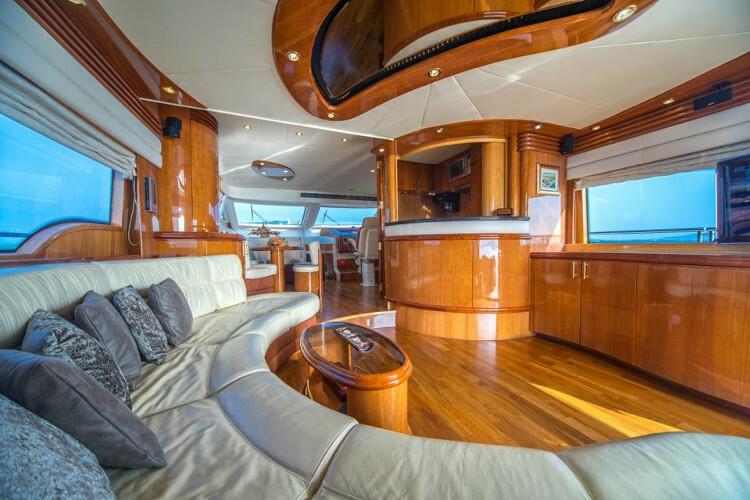 The Dominator 65 "Alda" is a perfect balance between design innovation and modern style. 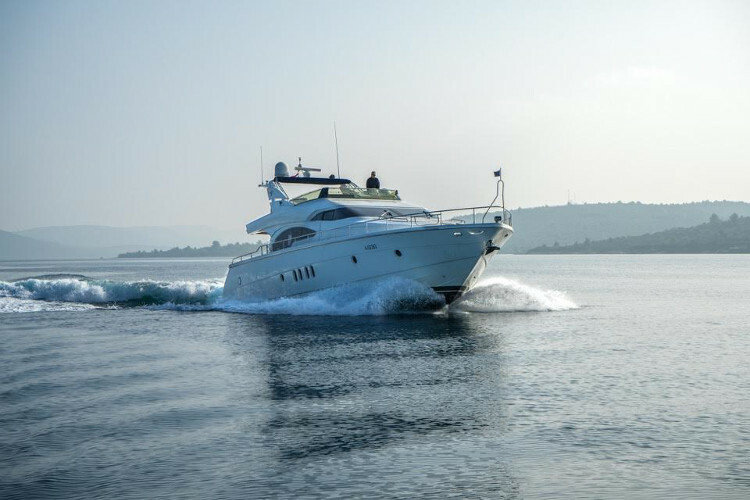 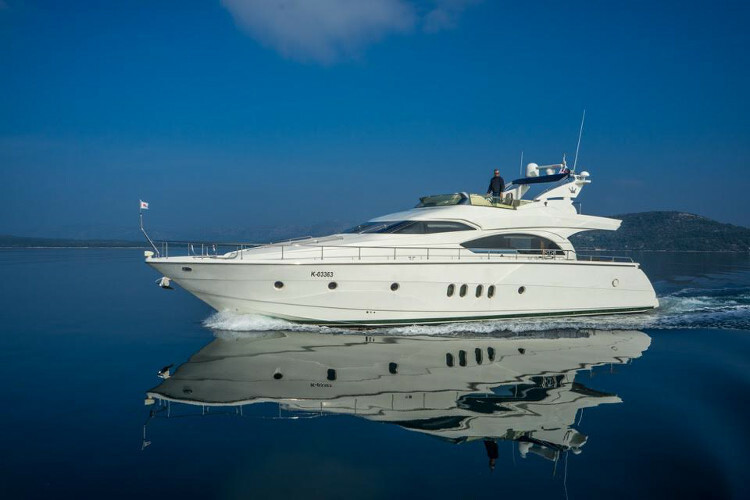 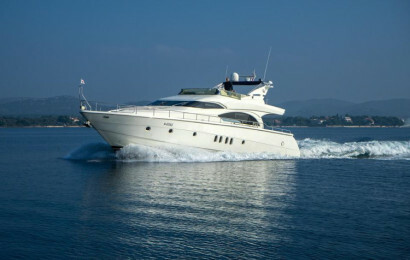 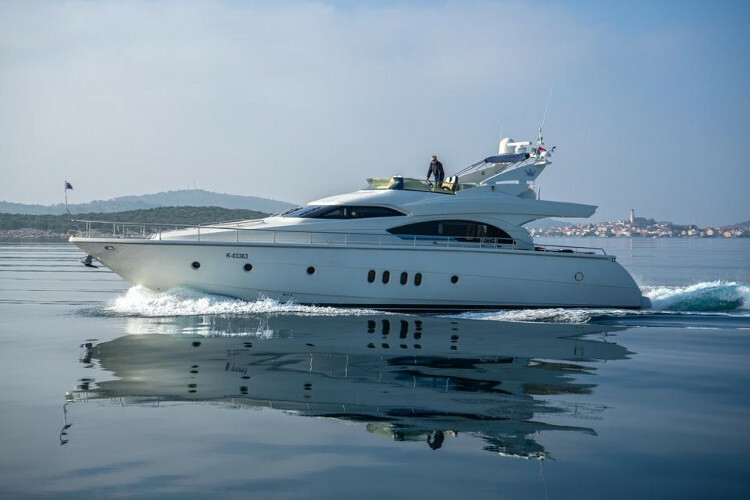 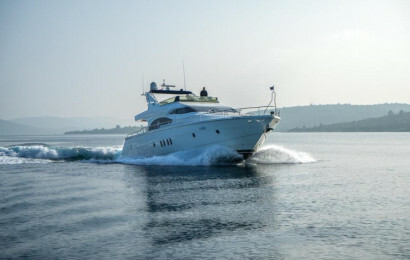 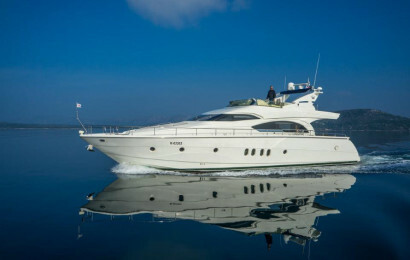 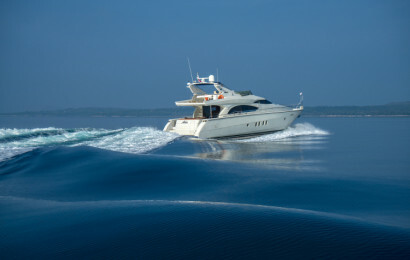 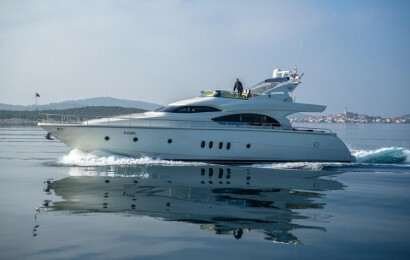 Thanks to its rational use of space, this yacht offers the highest standards of comfort and design, while maintaining a sleek and elegant external profile. 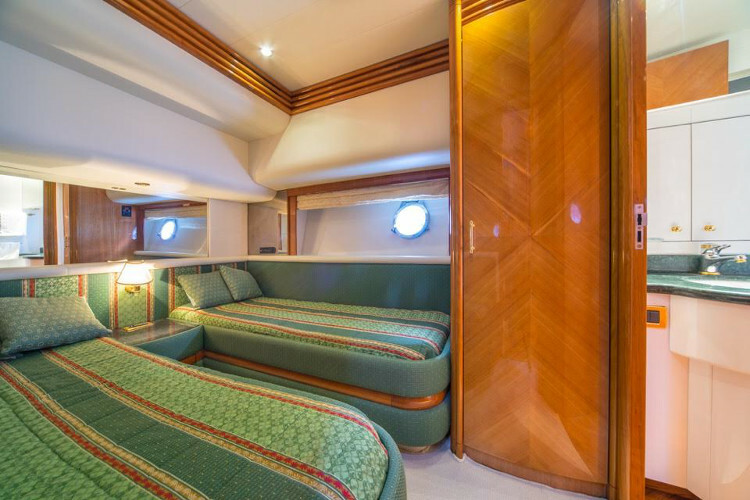 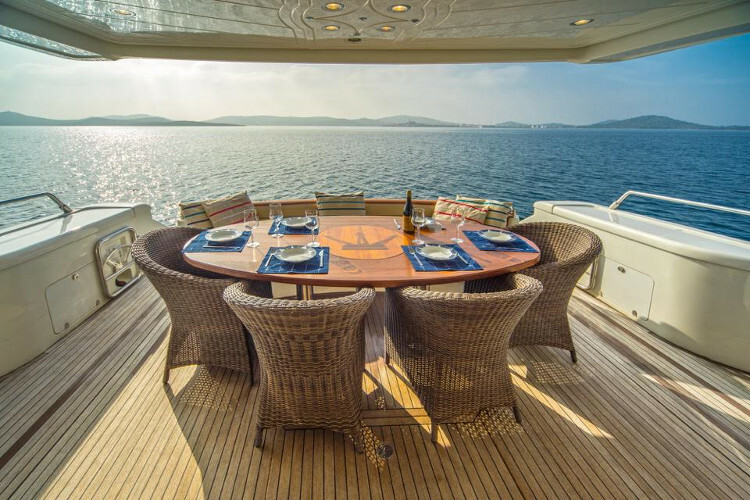 The living zone consists of a sofa area, a spacious dining area and a kitchen separated from the helm station by a stainless steel partition. 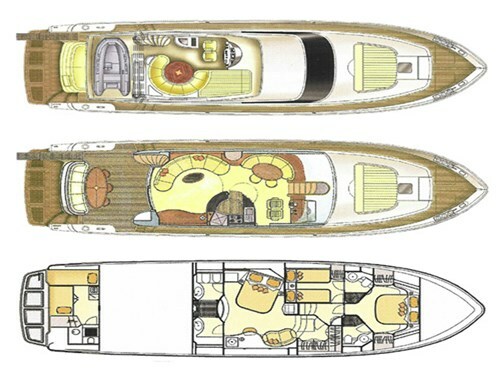 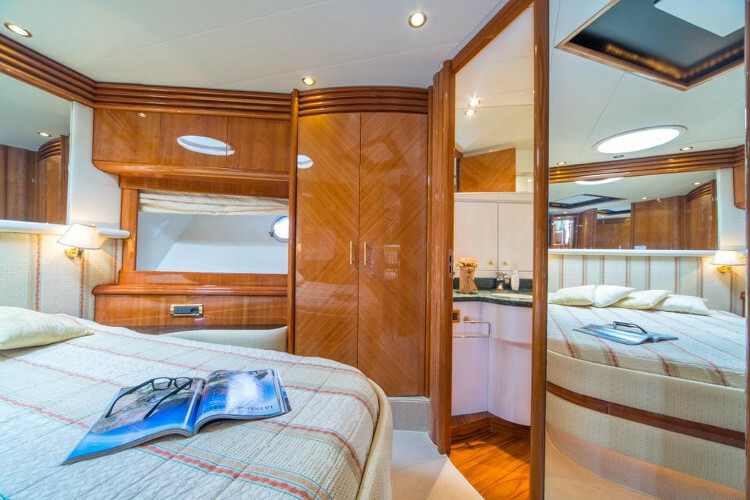 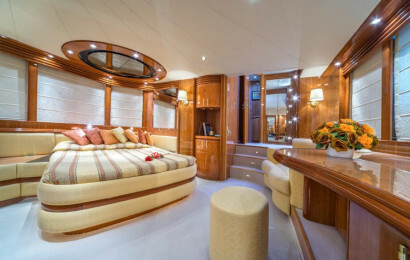 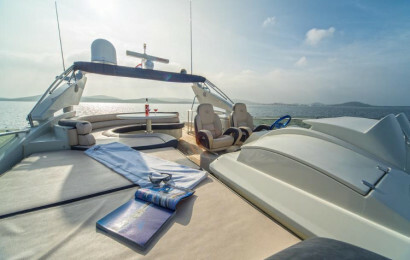 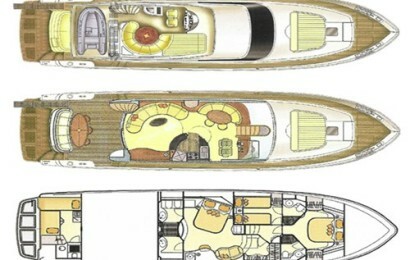 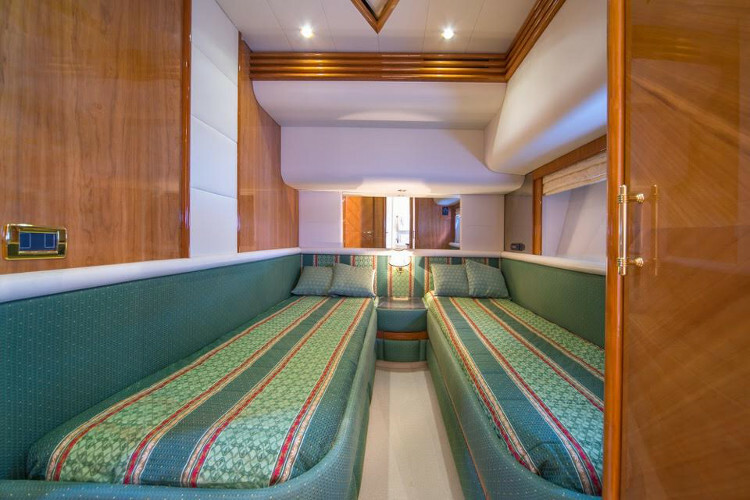 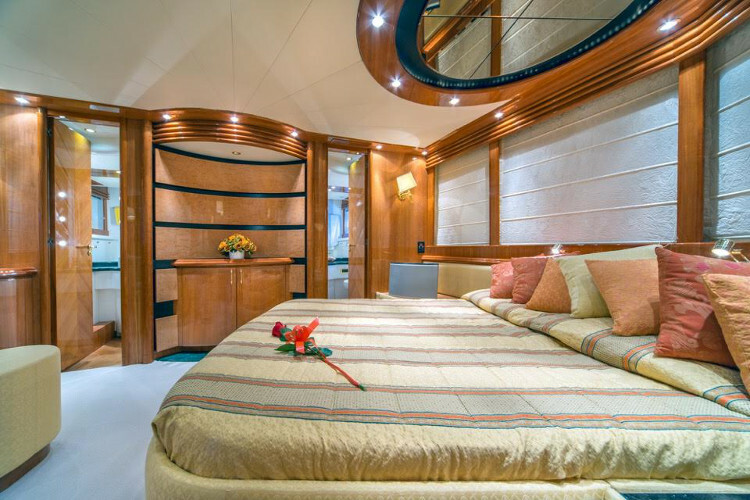 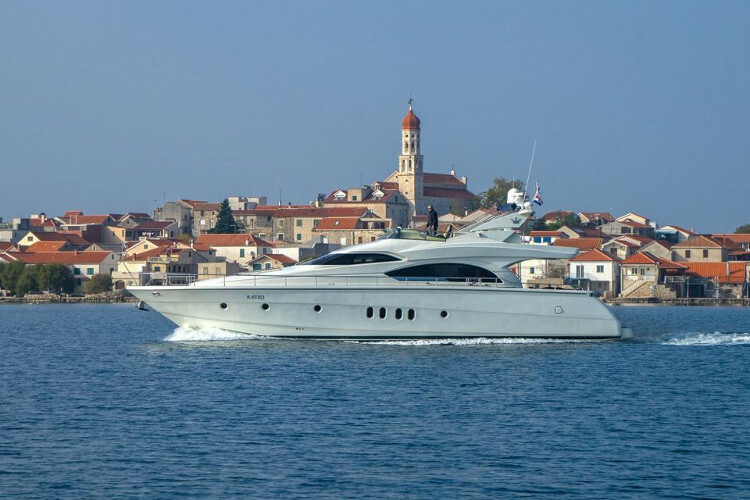 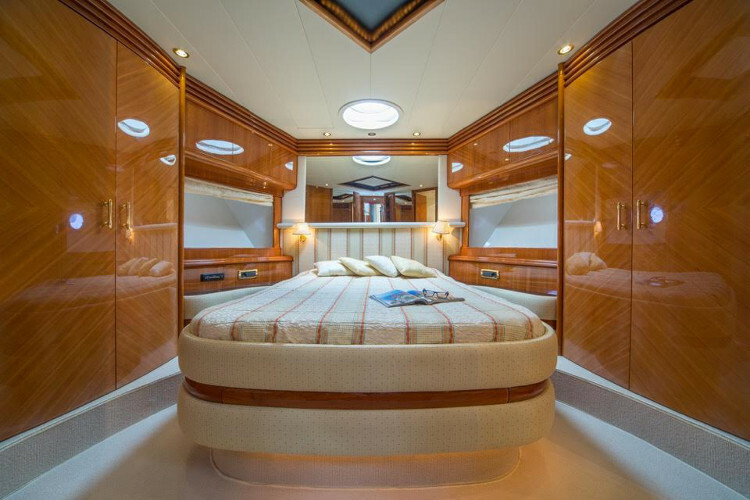 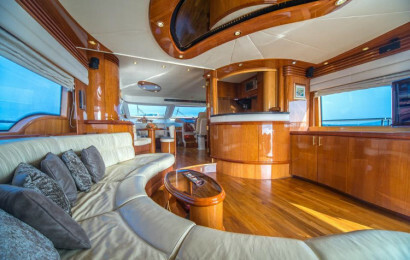 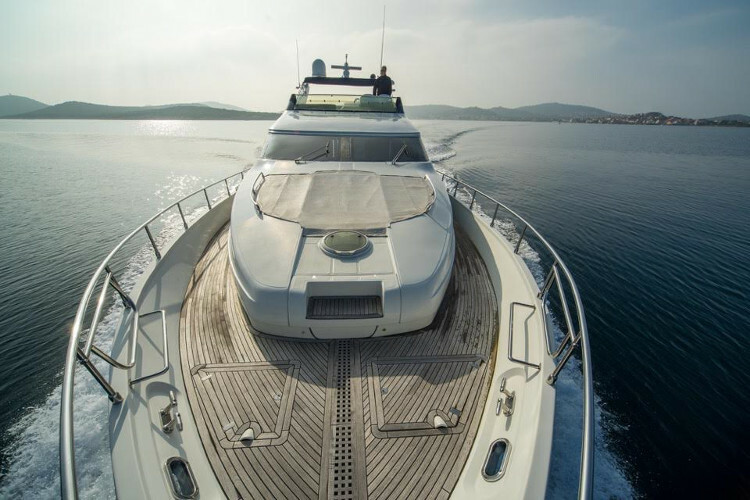 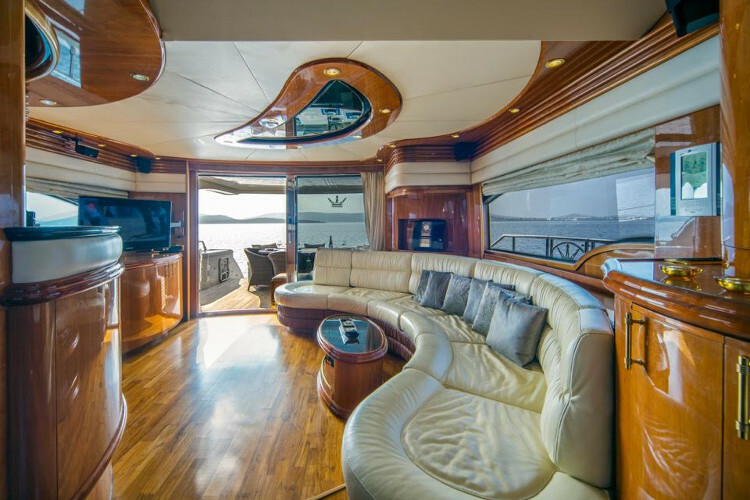 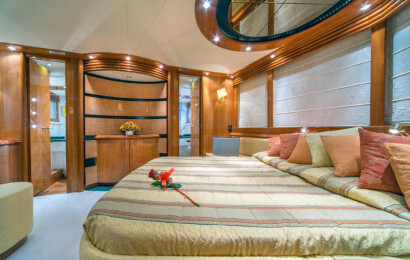 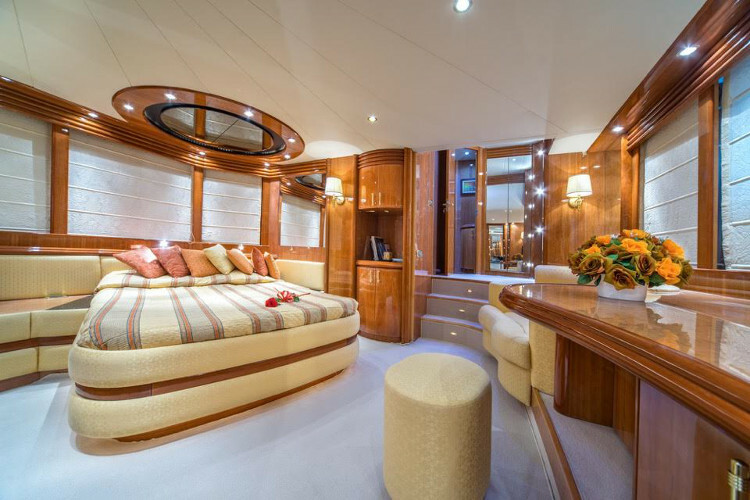 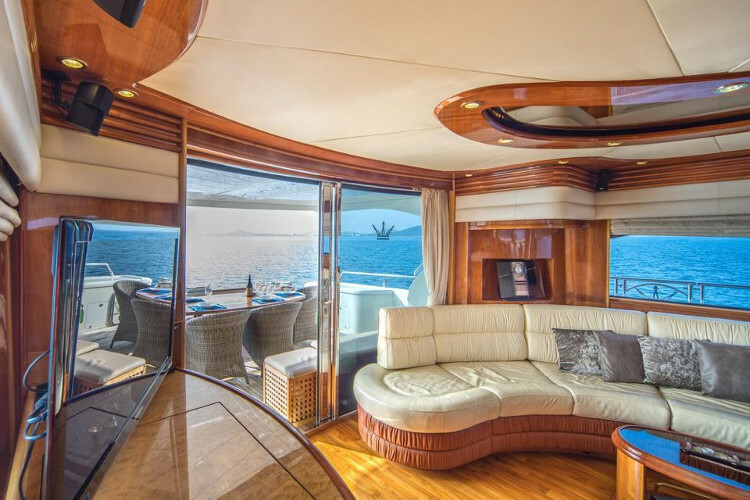 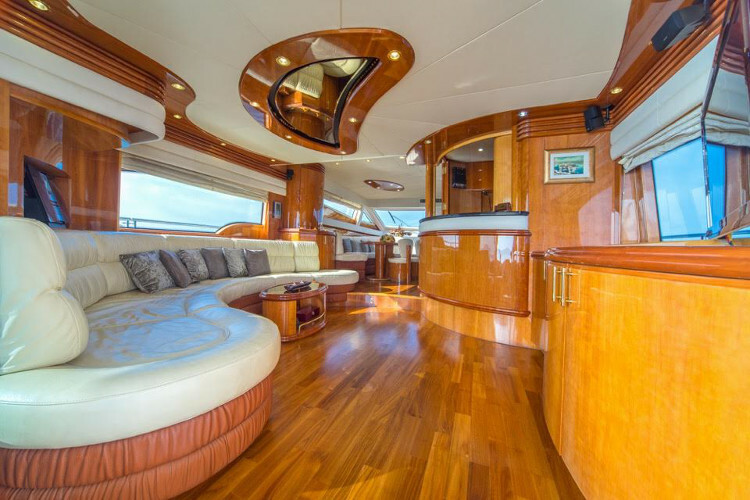 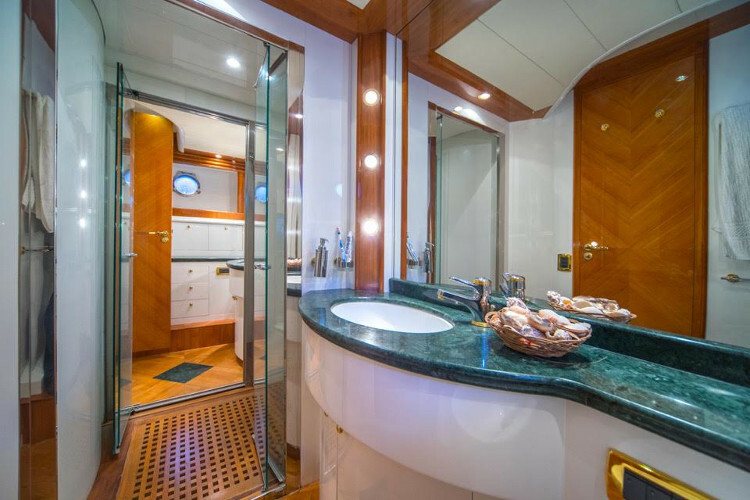 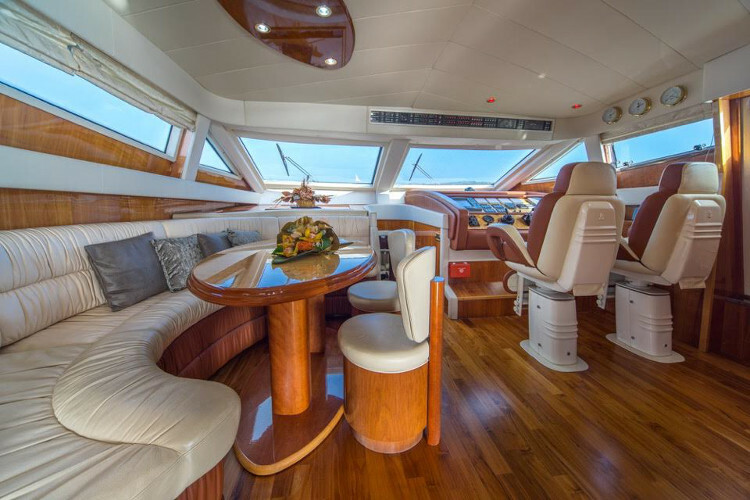 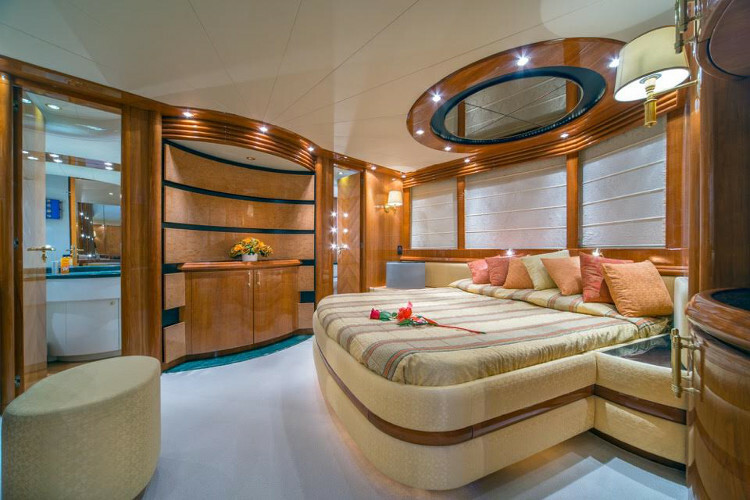 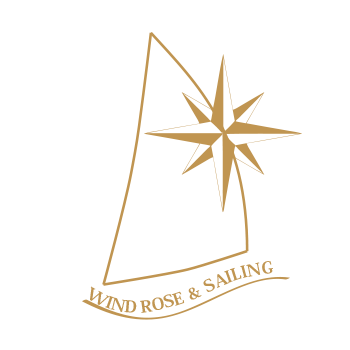 The yacht's distinctive interior design is enhanced by contemporary forms and highly refined features, many of which can be customized, as on all Dominator craft. 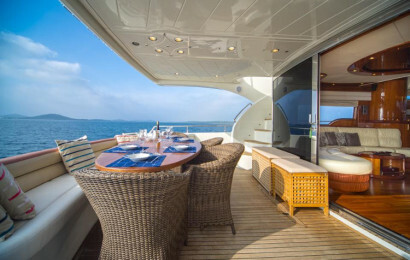 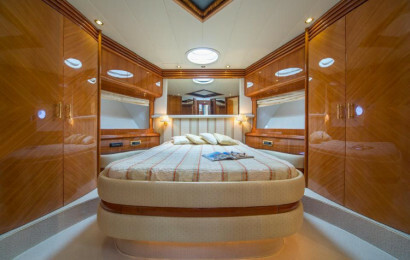 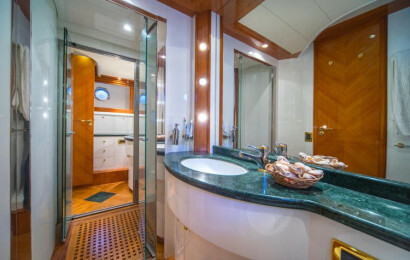 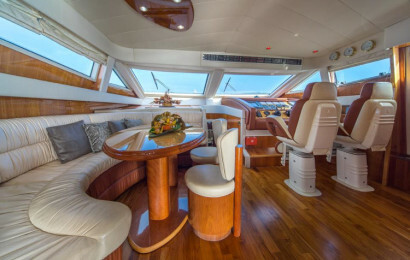 Thanks to the boat's vast side windows, the main deck is splendidly bright and sunny, and the same care has been take over the nocturnal lighting which is designed to create iridescent atmospheres by means of special rear-lit panels. On request, RGB illumination can also be installed in this system to match the boat's atmospheric exterior lighting.